​Thanks again for a wonderful experience. To get two of my three children there with Steve and Pat was special. I'm not the best judge of guided hunting experiences. I've had 6 in my lifetime. Four were at Rooster Tales. With that in mind, I'll still say it doesn't get any better. Thanks for everything, especially patience with the deaf. Hope all of you (and Galen) have a great Thanksgiving, Holidays and New Year. Kevin Jackson here from Dallas. I just wanted to send a quick thank you to everyone for our great hunt over this last weekend. Not only was the hunting top notch, but the hospitality shown by everyone at Rooster Tales was phenomenal. Bart, Larry and I really enjoyed our stay and look forward to many more hunts together in Burke SD. Thanks again for everything. Just a quick note of thanks for another outstanding stay at Rooster Tales this past week! Rich Elsea and I left at 4:30 AM, and I walked in my door at 10:35PM Wednesday night. It was an uneventful trip. I feel so much at home at your place, and thoroughly enjoy my time there. Everyone, and I mean just that, is so friendly and caring. You spoil us with wonderful hospitality, delicious food and outstanding hunting. What more could anyone ask for? With leap year, it is exactly 359 days until we arrive there next October 30! 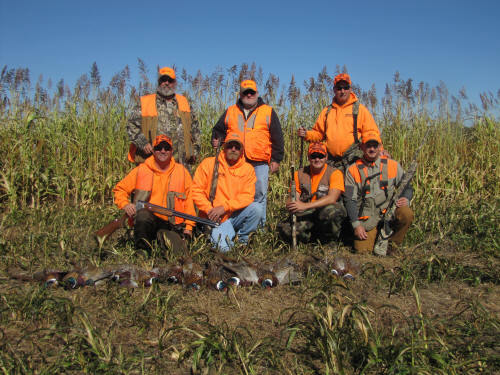 ​Just want to say thanks from the entire Kurth party for a fabulous weekend hunt. Mark and Galen are great and Craig with Duke is tremendous. The hunting was superb, the family atmosphere was outstanding, and the food was great. Thank you and God Bless you all. Good Hunting! My dad and I would like to once again thank you, Donna, Galen, and all others for your efforts. We very much enjoyed ourselves. The accommodations are quite nice and the food was excellent. The hunting speaks for itself. How many times can I expect to see a Labrador Retriever make a water retrieve on a Bobwhite Quail? We had been looking for sometime for a place to hunt pheasants in South Dakota. We both think we chose wisely. ​Thank you so very much for such a great time. You guys did everything and more to insure we enjoyed ourselves. Needless to say the hunting was excellent, accommodations were extremely nice and very clean, and you guys were fun. Thanks again, please feel free to use me as a reference. Thanks to everyone at Rooster Tales! 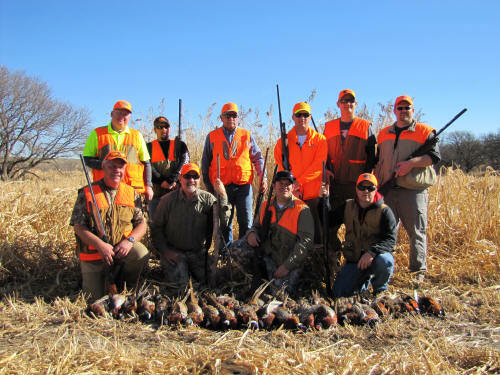 ​We really enjoyed the outstanding pheasant hunting. ​We'll see you next year!